Our trusty team of shmuFM volunteers have worked hard to ensure we can broadcast a lively, entertaining and engaging mix of live and recorded shows during the holiday period. 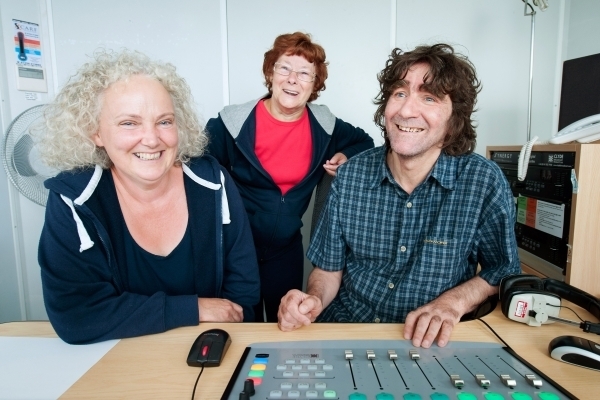 Some presenters have recorded special editions of their radio shows to go out between now and 6th January, while other volunteers will continue to broadcast their shows live during the break. shmuFM is offering live Breakfast and Cruise Control shows every day during the holidays - except on Christmas Day, when we are broadcasting a specially pre-recorded festive Breakfast. We're also delighted to announce that the Woodside On Wednesday team are live in the studio to present their popular community show at 10am on Christmas Day, while presenter Mandy Roy is taking the helm of our drive-time Cruise Control shows from 5pm to 7pm on Christmas Day, New Year's Eve and New Year's Day. shmuFM - communities creating radio on 99.8FM.